…. It was customary for the condemned man to carry his own cross from the flogging post to the site of crucifixion outside the city walls. He was usually naked, unless this was prohibited by local customs. 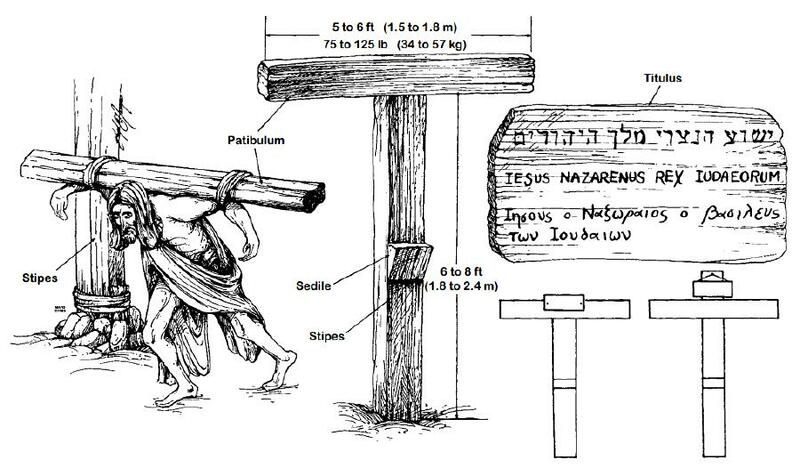 Since the weight of the entire cross was probably well over 300 lb (136 kg), only the crossbar was carried. The patibulum, weighing 75 to 125 lb. (34 to 57 kg), was placed across the nape of the victim’s neck and balanced along both shoulders. Usually, the outstretched arms then were tied to the crossbar. The processional to the site of crucifixion was led by a complete Roman military guard, headed by a centurion. One of the soldiers carried a sign (titulus) on which the condemned man’s name and crime were displayed. Later, the titulus would be attached to the top of the cross. The Roman guard would not leave the victim until they were sure of his death. Outside the city walls was permanently located the heavy upright wooden stipes, on which the patibulum would be secured. In the case of the Tau cross, this was accomplished by means of a mortise and tenon joint, with or without reinforcement by ropes. 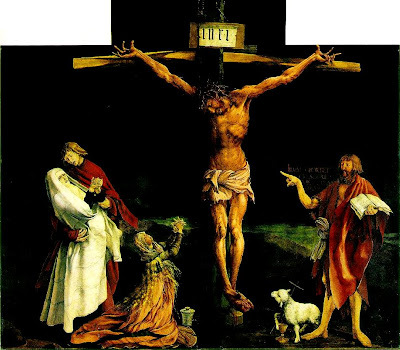 To prolong the crucifixion process, a horizontal wooden block or plank, serving as a crude seat (sedile or sedulum), often was attached midway down the stipes. Only very rarely, and probably later than the time of Christ, was an additional block (suppedaneum) employed for transfixion of the feet.